Filing bankruptcy in Sacramento can be a simple process if the client and attorney are organized and proactive. To file bankruptcy clients must produce proof of income, bank statements and tax returns. In turn, bankruptcy attorneys will draft the petition, statements and schedules in a timely manner. If either the client is slow to produce the required documents of their attorney delays petition preparation, the pre-filing process will be delayed to the aggravation of both parties. Filing bankruptcy requires documentation of income for the past 6 months. As a result, clients are asked to provide 6 months of pay stubs. If the client is self-employed proof of income can be detailed in a 6 month profit-and-loss statement. Clients produce bank statements to verify income and help their bankruptcy attorney prepare 521 documents. 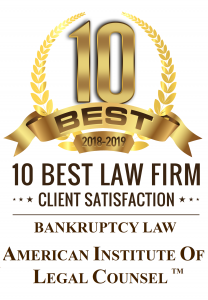 * First, qualifying for chapter 7 bankruptcy requires 6 months of income below a certain value that varies by state of residence and household size. The income that counts in this calculation includes some forms of non-taxable income. To make sure clients qualify for chapter 7 bankruptcy many attorneys ask for bank statements before filing. Second, clients through their attorney must turn over some documents to the Trustee after filing bankruptcy. These documents (otherwise known as 521 documents) often include bank statements. Accordingly, many bankruptcy attorneys ask for bankruptcy statements before filing. The bankruptcy paperwork filed with the court requires disclosure of income for the past 2 tax years. In addition, the last filed Federal Tax Return is a required 521 document. Therefore, clients are asked to provide 2 years of tax returns to accurately report income and timely file required 521 documents.